Lots of stuff is going on behind the scenes. I’m trying to making things work more efficiently and smoother so that I can free up some time for other things (like making videos). Hopefully it’s not going to be that long before I can start making fun projects again. In the meantime the store has gotten a huge backend update, which shouldn’t be noticeable to customers (hopefully, if everything went right). There might be some slight CSS errors that I’ll have taken care of in the upcoming week hopefully. So now on to the new stuff! The biggest update is the Power Distribution tricopter frame, which makes the wiring much easier and cleaner when building the tricopter. It’s way overbuild, as usual. I tested it at 8S running 100 amps through the longest distance pads whiteout any noticeable voltage drop or the board getting warm, so it’s waaaaaay overbuild for anything a tricopter is going to pull on each pad. 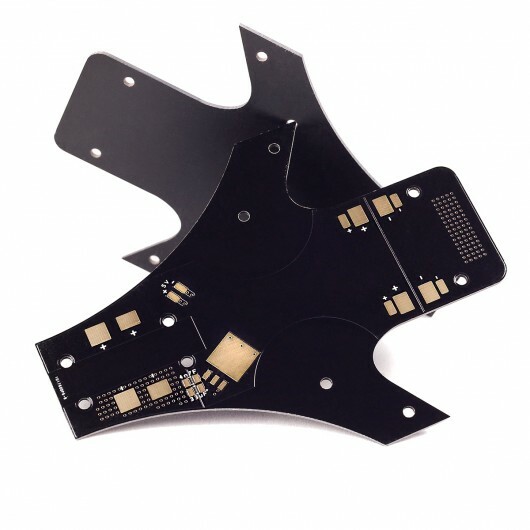 The power distribution board is also available with a built in 5V linear BEC for supplying über clean power to the flight controller and servo. Next new thing is an upgrade of the top piece of the tilt mechanism. From the depths of Mordor, forged in the fires of Mt. Doom, this tilt top is cast from fiberglass reinforced black nylon. Making the tilt almost indestructible. On request the top piece is also available separately, also the 3D printed version is also available separately. Also on request is the new Tricopter frame that now has a hole for servo/signal wires in the centre to make wiring cleaner and safer. 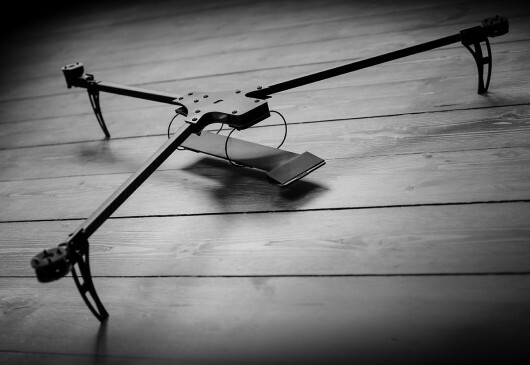 The tricopter kit will now come with both the new tricopter frame and the new injection moulded tilt mechanism (and the new black hex screws and black lock nuts)! 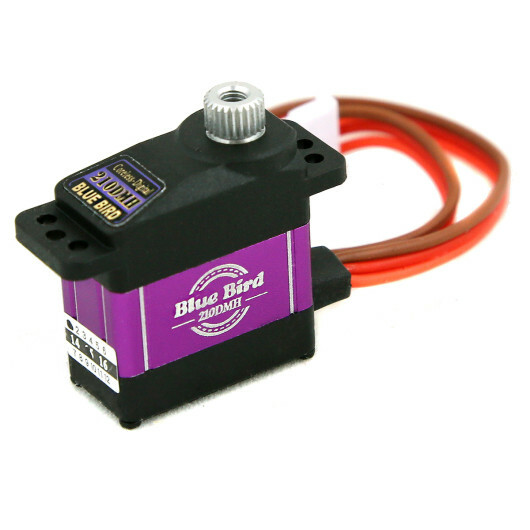 The Blue Bird – BMS-210MH servo is finally back in stock as well. Thank you so much for your support. I really appreciate you guys giving feedback and writing on the page and forums. I try and keep up as well as I can and I hope to be able to give back to the community more in the future. Fantastic list of updates, David. This shows how much you take user feedback and suggestions(obviously not taking away from your own initiatives) into making your product even better! You demonstrate one of the best, if not the best, ways to build, maintain and keep customer relationships! Thanks again for all your efforts and looks like it’s time for me to place an order again lol. I’m very interested in the Naze32-integrated top plate mentioned above. Is there a place where I can read more about that enhancement? It’s a bit of a read, but you’ll find information about it in this thread. It’s a few pages in I believe. 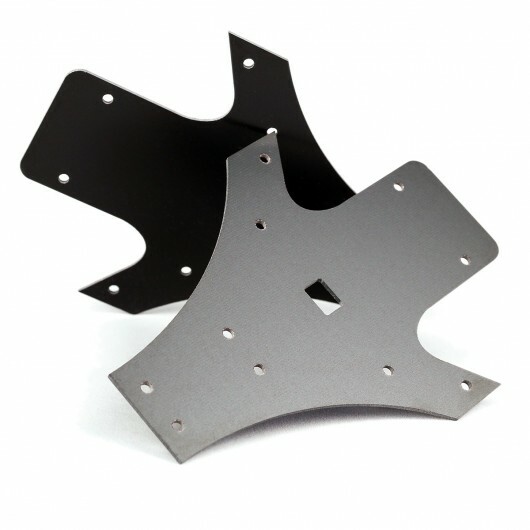 So when the Naze32 top plate is in stock, will you give an option of buying the kit with either of these new fame pieces? (with or without Naze32? This is so awesome David! Just wasted to say thanks for all you’re doing. These are great, makes me want to build an other one. I agree with the others, the way you have put the whole experience together is the best way it should be done. 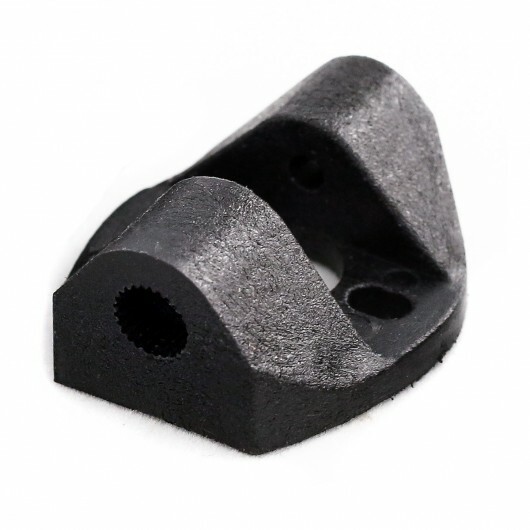 Makes it all the more fun and the best for advancing the hobby. Thanks David! ? Cant wait to use these new parts to make my tricopter even better! also planning to use my old frame to create an upper layer using spacers so i can mount all of my pixhawk electronics to it now. Autonomous tricopter in the works. Tri-Drone! David how did you model the splines in the top of the tilt mechanism that the servo fits into? Was it just through Trial and error or did you find specs somewhere? I’m trying to model my own tilt mechanism, but this has been my one stumbling point. Thanks! so when I saw these new board I ordered them right away and only 2days later (live in the netherlands btw) I got them. I immediatly started switching the original one which came with the v3 frame with these and i must say it look really clean now. The only thing i don’t really like is the hole of the top plate. in my opinion the hole is a little small i use a dremel to cut mine bigger to fit all the wires through. but other than that if David keeps up this good work i might have too many tricopters someday :P.
I received the new power distribution kit and have a question: since I ordered it with the BEC I want to power my FC (KK2.1) and receiver from there. What is the best way to do it? 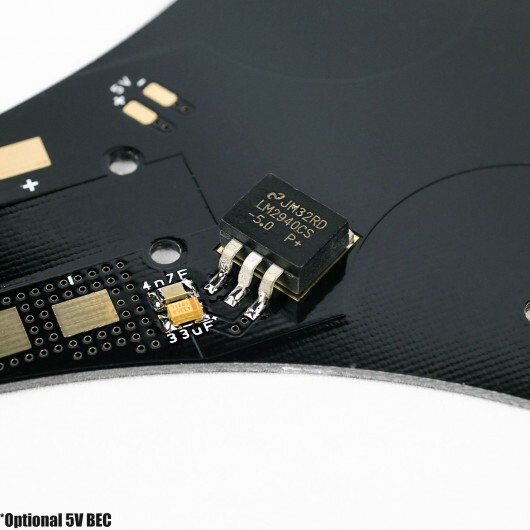 Connect the 5V to the receiver which then forwards it to the FC or can I connect it directly to the FC somehow?